Our industrial hydraulic cylinders are built to work in the toughest conditions. Developing solutions in partnership with our customers has allowed us to continually create and expand our portfolio of hydraulic cylinders that meet global safety standards for any environment you work in. 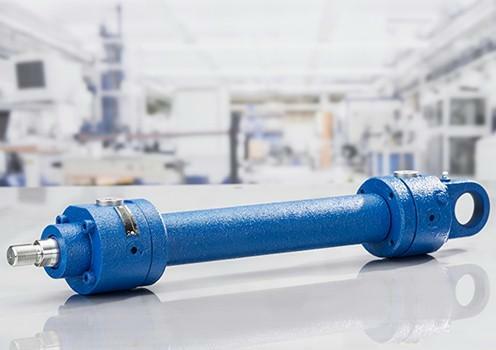 Rexroth has rendered hydraulics even more capable, from mill-type to tie rod hydraulic cylinders; we have your hydraulic cylinder for safe and reliable lifting. This gives you smarter, reliable cost-optimised solutions with an extended lifecycle and intelligent components. The tie rod hydraulic cylinders are primarily used in the machine tool industry and in production equipment of the automobile industry. Due to their little installation dimensions, hydraulic tie rod cylinders, similar to welded mill type hydraulic cylinders, can be used in very limited installation spaces.